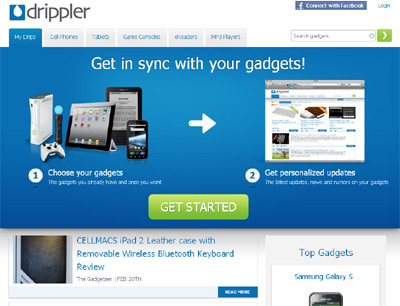 Drippler (http://drippler.com) is the ultimate information source for gadget users, keeping them constantly excited about their gadgets! tips & tricks, firmware & software updates, reviews & comparisons, troubleshooting & tech-support, apps & games, accessories, recalls and more. Drippler is the only service providing personalized gadget updates on web and mobile.